The Macomb Spring Home Improvement Show is a FREE event designed for homeowners in all stages of remodeling, landscaping and decorating their homes. 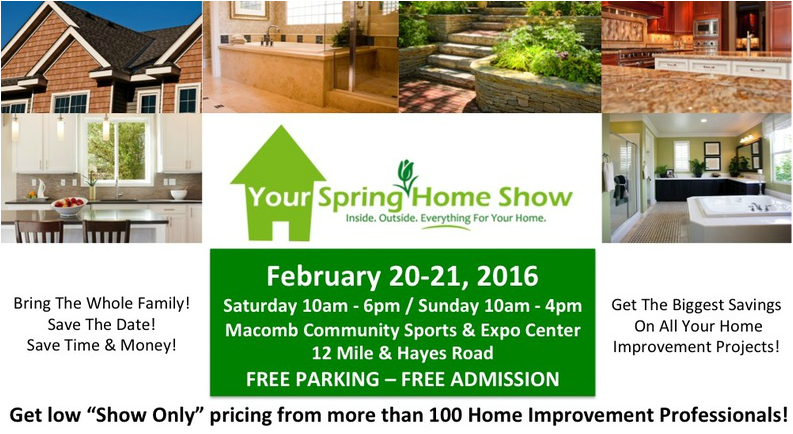 Your Spring Home Show features hundreds of home improvement and landscaping exhibits with product demonstrations. With a combination of new products and expert advice from the pros, the Macomb Spring Home Improvement Show will inspire you with countless ideas for enhancing and improving your home's comfort and functionality, as well as, its appeal and overall value.